Next time, if you travel by public transport bus and need to pay high charges for your luggage, there is a way to get things sorted. The Road Safety and Transport Authority (RSTA) has a fare chart for passengers’ reference. However, the authority says not many people know about it. According to RSTA’s rule, people are allowed to take 20 kilograms of baggage along with them on bus. And they don’t have to pay extra charges since the bus fare covers for it. But if the luggage weighs more than 20 kg, passengers are required to pay extra charges depending on the weight and the distance to be travelled. If one is sending parcel, there are different charges fixed by RSTA. However, due to lack of awareness among the travellers, some are charged more than the approved rate. Likewise, some others were charged extra for luggage. “The rule is that we can carry 20 kg luggage without charge. But I came across a driver who charged Nu 50-150 for even 5 kg of cartoon,” added Sonam Lepcha. Agreeing to passengers’ qualms, some bus operators and drivers said the complaints could be true in some cases. 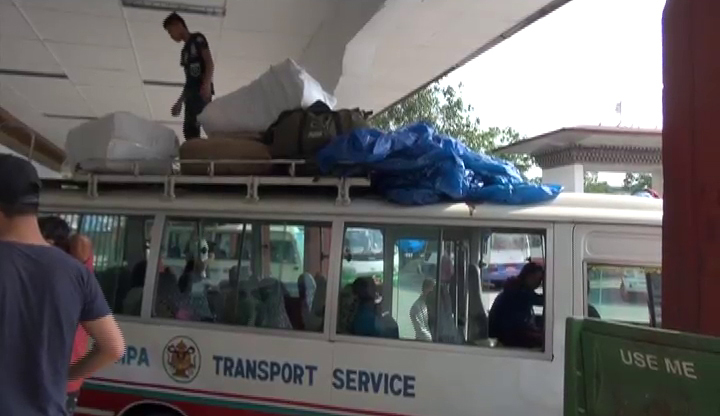 “Drivers must have charged extra fee for luggage and for this, the bus operators might have blamed,” said bus operator of Sha Transport, Sha Dorji. Nevertheless, travellers can avoid paying unreasonable amount of charges by following the fares fixed by the RSTA. “The rate for unaccompanied baggage is 10 Chetrum per kg per kilometer, and there is no exemption limit. Even if it’s one kg, it is charged 10 Chetrum per kg per km,” said Prem Adhikari, the Chief Regional Transport Officer of RSTA Thimphu. Without any weighing machines at the bus stops, the bus drivers and conductors charge the passengers by visually assuming the weight of luggage. RSTA said they have thought of procuring such machine. “We are trying to discuss with the operators and if it’s possible we would like to ask the operators procure and install at their respective counters,” added Prem Adhikari. RSTA also issued a public notice recently, warning that non compliance with the rules shall be dealt as per the provisions under Road Safety and Transport Act and Regulations 1999, and Passenger contract terms and conditions.